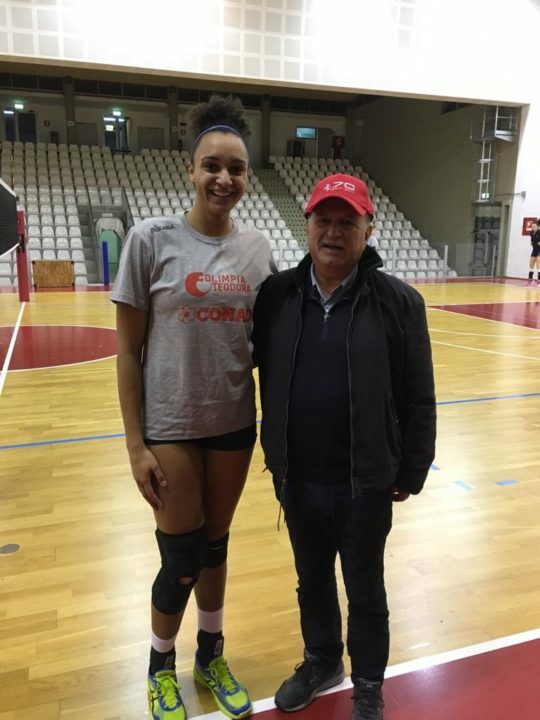 Olimpia Teodora Ravenna has just announced in its official website the signing of VolleyMob and AVCA All-American Haleigh Washington, from Penn State University. A multiple award winner with a very decorated college career, Washington is widely considered one of the biggest American promises in volleyball. She will be joining a squad that currently sits in 9th place of Italy’s A2 league with a 14-10 record, which means she should get plenty of playing time to further develop her game. Haleigh teamate Simone Lee also recently signed in Italy after graduating.